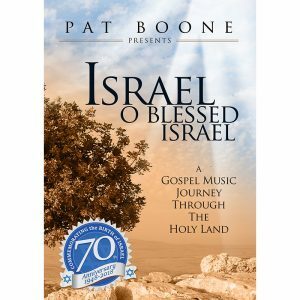 Home / Music / Genre / Gospel/Christian / ANGELS IN THE SKY: How A Band of Volunteer Airmen Saved the New State of Israel. In 1948, only three years after the Holocaust, the newly founded nation of Israel came under siege from a coalition of Arab states. The invaders vowed to annihilate the tiny country and its 600,000 settlers. A second Holocaust was in the making. And then came help. From the United States, Canada, Britain, France, South Africa arrived a band of volunteer airmen. 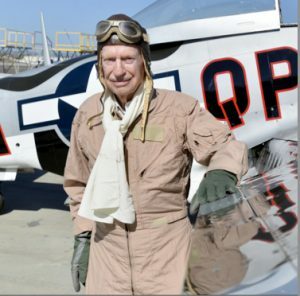 Most were World War II veterans―young, idealistic, swaggering, noble, eccentric, courageous beyond measure. Many were Jews, a third were not. Most of them knowingly violated their nations’ embargoes on the shipment of arms and aircraft to Israel. They smuggled in Messerschmitt fighters from Czechoslovakia, painting over swastikas with Israeli stars. Defying their own countries’ strict laws, the airmen risked everything―their lives, careers, citizenship―to fight for Israel. They were a small group, fewer than 150. In the crucible of war they became brothers in a righteous cause. They flew, fought, died, and, against all odds, helped save a new nation. 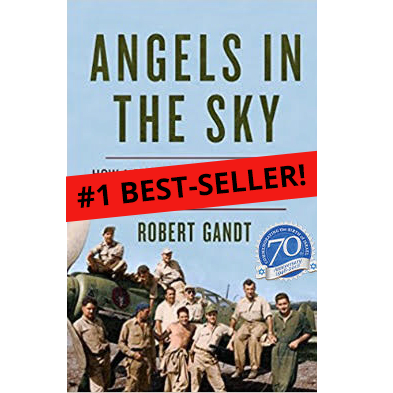 The saga of the volunteer airmen in Israel’s war of independence stands as one of the most stirring―and untold―war stories of the past century. 464 pages. Includes 8 pages of illustrations. 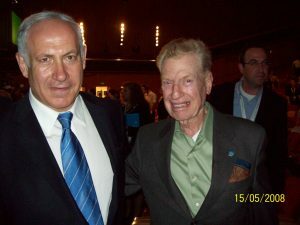 Flint is the only pilot in the history of the Israeli Air Force awarded his rank of Rav Seren 65 years after the fact and presented at the 65th anniversary of the birth of Israel (also Mitchell’s 90th birthday) by Prime Minister Benjamin Netanyahu, then President Shimon Peres, and Amil Eshel, the head of the Israeli Air Force. The ceremony included a flyover by the plane flown by Flint in the critical Fallujah Pocket mission. In this mission Flint led Flight 35 in the 5-day campaign that bombed the Abdal Nasser-led troops numbering in the hundreds of thousands, eventually causing them to retreat. It changed the course of the war and ensured the birth of Israel held.